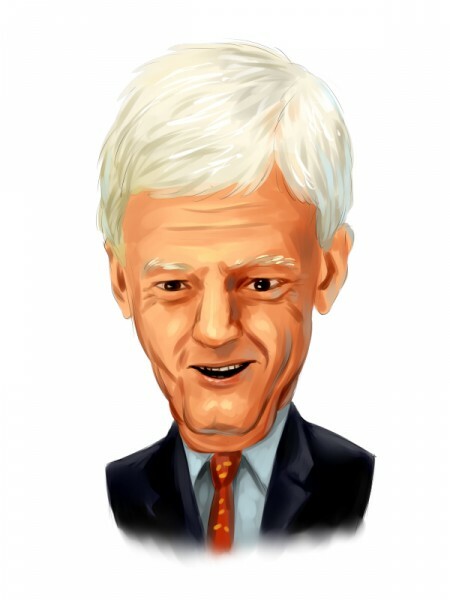 Mario Gabelli is the founder of Gabelli Asset Management Company Investors (GAMCO Investors). The top sectors in his fund are consumer cyclical and industrials. Gabelli who has an estimated net worth of $1.65 billion was ranked 382nd amongst the top 400 wealthiest people in the nation by the Forbes magazine. When asked about active vs passive styles of investing, Mario states that passive investing is for the mindless investors and voters. He also says that it is impossible to gain in a down market by being in an index fund. Recently Gabelli was present at the CNBC’s Halftime Report where he discussed about his top picks and mentioned it is a good time to buy casino stocks. More specifically, the investor talked about MGM Resorts International (NYSE:MGM) and Wynn Resorts Limited (NASDAQ:WYNN) saying that these stocks are attractive because Las Vegas is “booming”. In addition, Gabelli discussed Textron Inc. (NYSE:TXT), Herc Holdings Inc (NYSE:HRI), and National Beverage Corp (NASDAQ:FIZZ). He is also bullish about entertainment stocks, saying that “no matter how old you get” you would like to visit concerts. Out of thousands of stocks that are trading on the market every day, it can be difficult sometimes to pick the right investment that can deliver market-beating returns. Here’s where our research comes in. By analysing the equity portfolios of some 750 top investors, we can see what stocks they are collectively bullish on and use this data to compile a portfolio that can outperform the market (see more details). MGM Resorts International (NYSE:MGM) owns and operates casino resorts in USA and China and its stock is up by more than 15% year-to-date. GAMCO held 99,850 shares of MGM at the end of June, having boosted the position by 46% over the quarter. Gabelli mentioned MGM Resorts International (NYSE:MGM) as one of his top ideas as they recently spun off their real estate business and are “doing some interesting things”. The total number of funds from our database having a position in this stock increased to 59 from 55 during the second quarter. For the second quarter, the company reported EPS of $0.26, beating the estimates by $0.03, while for the third quarter, analysts expect the company to post earnings of $0.67 per share. In Wynn Resorts Limited (NASDAQ:WYNN), GAMCO owned 111,194 shares at the end of June, being among 30 funds tracked by us that held shares worth $1.72 billion in aggregate, having amassed 18.7% of the company’s float. The stock has rallied by more than 35% since the beginning of the year. Gabelli is bullish on this stock given that its new hotel is coming up in Boston and it also opened Wynn Palace in Macau. He said it is a good time to enter casino stocks as Las Vegas is booming and Wynn Resorts has done a very good job. The new property with its already existing operation Wynn Macau is expected to add up to $1 billion of cash flows. Wynn Resorts Limited (NASDAQ:WYNN)’s stock also has an attractive dividend yield of 2.1%. On the next page, we are going to discuss three other stocks that Gabelli discussed during his interview on CNBC.